Being a Blogger, you can face a lot of issues about Adsense. You know it is obvious because Google has its own set of protocols which you need to follow. So, I am sharing today “Top Adsense queries and solutions”. I hope this Adsense QNA session will help you to get out of all your Adsense problems. 1. Can I have more than one Adsense Account? You can use the same address, But I will suggest you not to choose the same address for more than 3 Accounts. 2. Can I use same Bank Accounts for two different Adsense? Technically yes, You can. But it is not recommended. You can use your other bank account or your family or friend account to get money. 3. Can I change my payment account after getting paid on Adsense? Yes, Of course. You can see in your Adsense Account payment option there are options to add payment methods and You can do it. But to get paid. you have to make one of payment option primary. 4. My Adsense is permanently disabled? How to get it back? Generally, a permanently disabled Adsense can’t be taken back. the chances of getting it back are very less. in this case, the only method that will work for you is the Adsense Appeal Form. go through it properly and fill out the correct details. If your application is rejected try again after one – three month. Again rejected, leave it and focus on other things. You can try even after 6 months or one year to get it back. there are chances that your Adsense might get approval again. 5. My Adsense Account is suspended for some days (generally 30) What will I do now? If your Adsense account is suspended due to invalid click activity or any other reason. You can go through appeal form. But Please read your mail properly there will be clearly mentioned. You are allowed to appeal or not. 7. How do I remove a website from My sites in Adsense Account? This is a most important Adsense Query but there is not a suitable answer for this. but as I have experience of this. I can say, You can not remove a site from your my Sites option in Adsense Account. if you remove a site where you don’t want to see your ads, Just make them unverified and if possible remove all AdSense ad codes and Adsense verification code form that site. 8. My Adsense Account is disapproved, what to do next? You have applied for an Adsense account and if you Adsense request is disapproved or rejected. Go through this article. It will help you the best. Related Read: Adsense approval rejected What to do Next? 9. When We reapply for Adsense after getting a disapproval or rejection? Well, its obvious and you have to reapply again once you have worked on all the possible reason for rejections which are clearly mentioned in your rejection mail. I will refer you to reapply after two weeks. 10. Adsense account Pending Reviews. What to do next? If you have applied for an Adsense and You are not getting any sign either for rejection or acceptance. Don’t feel bad. Have a look at all the things which you can do in between you Adsense pending approval. Related Read: Adsense Account Pending Approval. What Can I do now? 11. Should I buy an Adsense Account or not? There is no any problem in buying an Adsense Account Most of the People are doing this. you also can. but Never trust anybody who gives Adsense in very less amount. They may fraud you. Always buy Adsense with a person you know. I will refer you to go to that Adsense account which already has received payments. Note: This is not a legal way. But Technically It’s also not illegal. 12. I have an approved Adsense. But I am not able to see ads on my site or it is blank? 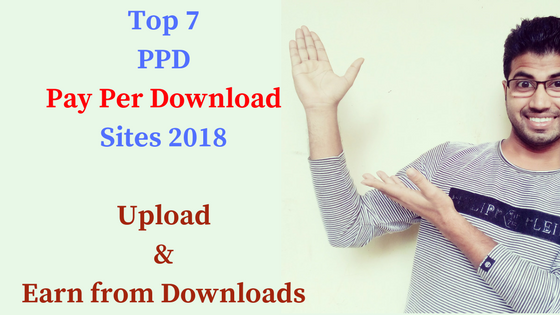 There is two possible reason one is either your Adsense account is not fully approved for Adsense for Contents or the second is you have not placed the ad code properly. Sometimes People do mistakes, they get Adsense approved by either Youtube and Admob. But keep in mind to get ads on your website your Adsense will be approved for Adsense for content. If You are applying Ads for the first time then It might take half an hour to show ads on your site.Follow the tips provided in the video to implement Adsense ads on Your Website. Well, this Adsense error occurs when you want to switch Adsense Account of your Website. To fix this you just need to Update your ads.txt file. Read the related article provided below to fix it up properly. Read Now: How to update Ads.txt, how to add a Missing ads.txt file into your web server? 14. I have an Adsense Account Approved with YouTube. Can I use it on my Website? Of course, you can, But you have to take approval first to get ads on your site. Here is the process to add a website to Adsense account which is preapproved for YouTube or Admob. Step 2: You will be provided with a URL, which you need to paste in between <head>….ad code…</head> tags.If you don’t know How to place that Adsense verification Code properly. Watch our Youtube Video. Step 3: You have to wait for 2-3 days for the approval, If you follow all the guidelines of Adsense then I am sure you will get a good news. 15. Can I take more than one Adsense Approval on the Same site? This is what we call a stupid Adsense query, I already have said Google only allows one AdSense account per human. If you want more, apply with your different site and with all different details to be safe. Because if you caught you all Adsense will be suspended and you will be not allowed to take part in any further Adsense program. 16. Can I add same Bank Account in Multiple Adsense Accounts? Technically yes, No Issue. But If both Adsense is associated to you I will not recommend this. You can use your family member’s bank account. Isn’t a good idea. It is. So, It will be better If you do not use the same bank account. You are allowed to add or remove different bank accounts as an Adsense payment option. 17. I got some click and money is added to my Adsense. But When I checked it later Both the money and the click is deducted. Why is it happening to me? This is happened due to invalid click. If an invalid click occurs Google generally deduct those click and money from your account and return this money to actual advertisers. It happens in two ways one is: the money deducted soon and the second the money deducted from the time finalization of your monthly income. You might have seen some deduction due to invalid click activity from your Adsense Account. 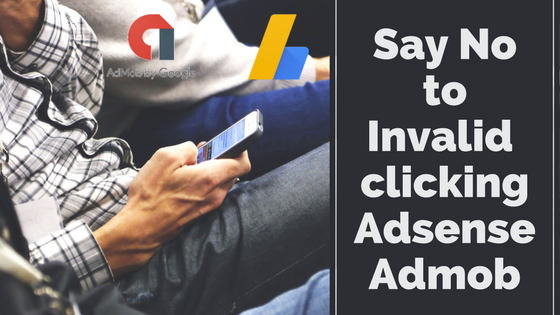 Here is the prime reason for invalid activity – Adsense and Admob Invalid click | How Google decides it? 18. I have 100$ in my Google Adsense when I will get paid? If you have done both the things then you are super eligible to get paid. But google release money on 21st of each month generally. So You have to wait. Note: Your this payment will come next month because it will finalize on next month starting days. Generally 1st or 2nd of the next month. 19. How to add Payment methods to Google Adsense account? Once you have reached your threshold then you will be eligible to get payments from Google. I have made a separate article for this. Read this article and know all the process step by step. Before reaching the threshold limit you can see exactly – you don’t need a payment method until your earnings threshold has been reached. Read Now – How to add payment methods to Google Adsense Account? 20. Does Website affiliate links affect Google Adsense Approval process? Literally no, if used in a proper way. Read more about this here – the effect of Affiliate links on Google Adsense Approval. I believe these are the Top Adsense queries and solutions, but If you have your own set of queries you can comment below. We can also include your query in our article with your name. Wow, nice post. thank you for sharing. Ohh wow!Amazing post.thanks for sharing this to us.